Lac Su looks back on his childhood and writes of his family immigrating from Vietnam to Los Angeles. While having to navigate a large cultural divide, he also had to be wary of his father’s high expectations and easy anger. Lac’s story often saddened and shocked me. I think his writing is strongest when he writes of fear, which he had to face far too often. I didn’t like the epilogue because of the change of tone and how it had to cram so much in. 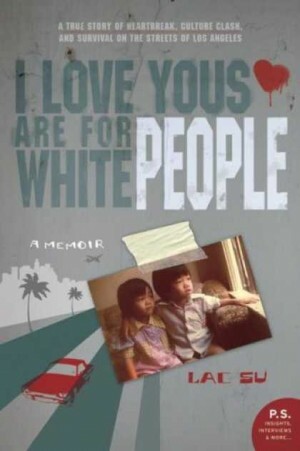 This entry was posted in I Read and tagged book reviews, books, i love yous are for white people, lac su, reading, reviews. Bookmark the permalink.